Spring is in full swing! Memorial Day is next weekend and the weather is solidly warm in St. Mary’s County. Everyone is starting to get a touch of spring fever and is ready to get a move on with the end of school and the beginning of vacation season. Before you hasten summer too quickly, though, you should consider the state of your apartment at the end of winter. Being cooped up in the house for 6 months can leave your home dirty and cluttered. You know what that means? Time for some spring cleaning! We’ve got a few tips to help you get your apartment back to its pre-winter state. Figure out what really needs to be cleaned – Has it been months since your refrigerator or oven was cleaned out? Is the front closet stuffed full of coats and scarves? First figure out exactly what needs to be cleaned in your apartment. A lot of stuff doesn’t get attention every week or even every month and needs a little bit more TLC in the springtime. 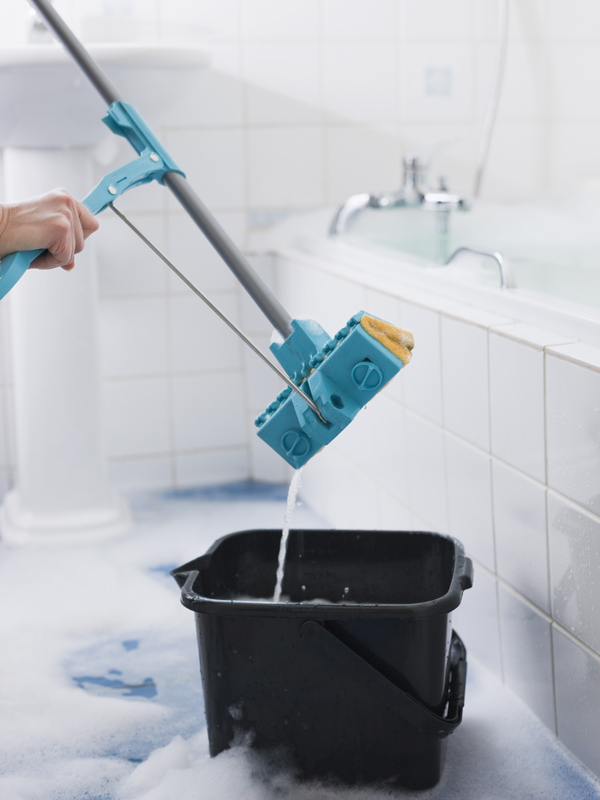 Designate cleaning jobs for everyone in your household and then get started. It’s always easier with a list. Clean out those closets – You’ll notice that closets get really messy and full in the winter. It’s the perfect time of year to start donating to Goodwill. Still have that sweater from the annual Ugly Sweater Christmas party? Throw that in the Goodwill bag and prepare to donate. Put away sweatshirts, coats, scarves, gloves and other winter apparel somewhere that it will be out of the way, but where you’ll be able to easily find it next season. Take care of appliances – Anywhere you cook is bound to get messy. Even if you wipe down your counters and appliances every day, you still need to make a point to deep clean things. Your oven, stove, and fridge are especially vulnerable and can accumulate bacteria if they’re not carefully deep cleaned at least a couple of times per year. Throw out anything that’s expired and use baking soda and water to clean out your oven. Floors and windows – For carpets, spring is a good time to hire a steam cleaning service. Try to get all of the stains that you may have accumulated during the winter. It’s also advisable to clean both sides of the window. Let some fresh air in and clean them inside and out for a visibly brighter home. Do something fun – Spend a day or so cleaning and then get out and enjoy the weather! While it’s important to have a clean apartment (and it’ll likely make you feel better and more energized), you can’t neglect to enjoy the season. Reward yourself with a day at the pool this Memorial Day weekend with your family and neighbors. Don’t forget that the pools do open this weekend. Finish up your spring cleaning and come join us for a day of fun in the sun! Not a resident of Apartments of Wildewood? Come see why you should be! For more information about spring cleaning, or to set up an appointment to check out an apartment rental from Apartments At Wildewood, call us at 301.737.0737or visit the website! For more about renting with Wildewood, check out our Facebook, Twitter, Pinterest, or LinkedIn. This entry was posted on Monday, May 19th, 2014	at 4:19 pm	. Both comments and pings are currently closed.